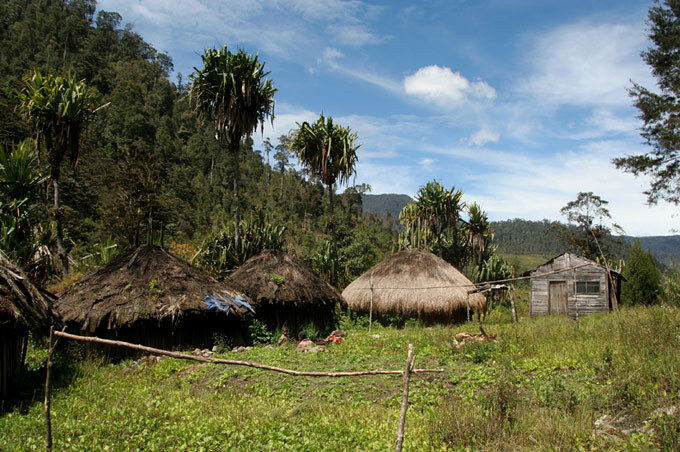 Papua, Indonesia’s last frontier, is one of the most remote, beautiful and culturally fascinating places I’ve ever seen. The local tribes, Dani and Yali, will surprise you with their traditions, strange clothes (or lack there of) and their kindness. In addition, the landscapes throughout the valley are spectacular; huge cliffs, waterfalls and rivers are home to this unusual people. Knowing some Bahasa Indonesia (which is the easiest language to learn in the world) it is possible and advisable to make the Baliem Valley trek without agencies. Otherwise, be prepared to pay about 70 dollars a day for guides and porters. There are several routes and options depending on the days you want to wander through the valley. In my case, I took 6 days accompanied by my friend Adriana. After talking with some local people, I think that the route we took was alright to follow without a guide. A longer hike, going to remote areas can be complicated without someone who knows the roads. In fact, I had to hire a local guide for 2 days to get to Kiroma. The first day it’s best to wake up early and take the bus that goes to the post of Kurima. Here you have to register at a police post and begin the trek. It’s a simple way along the valley, with the Baliem river on one side. 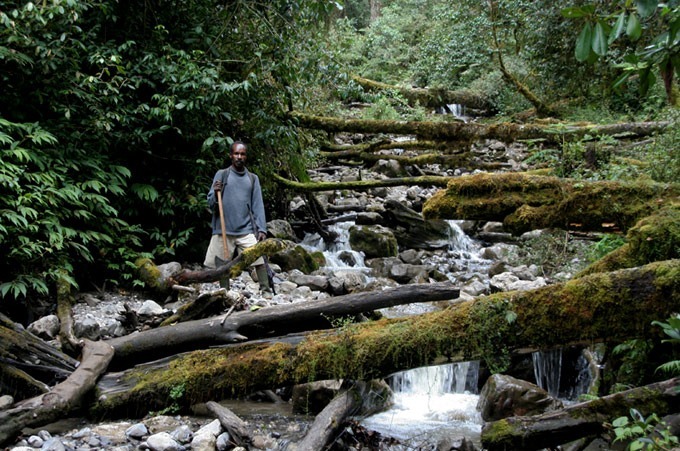 Once we cross the river by a reliable wooden bridge, the climb to the village of Hitugi begins. The village, like all of them, is very basic, but you can get a floor (literally) to sleep on and buy some food. It’s the first contact with the local people. A day with beautiful landscapes along the valley and the river. It descends from Hitugi to Yuarima, a nice town with many children, and after crossing the river, the climb begins to Yogoshine. In my opinion, this is the day with the most stunning scenery. 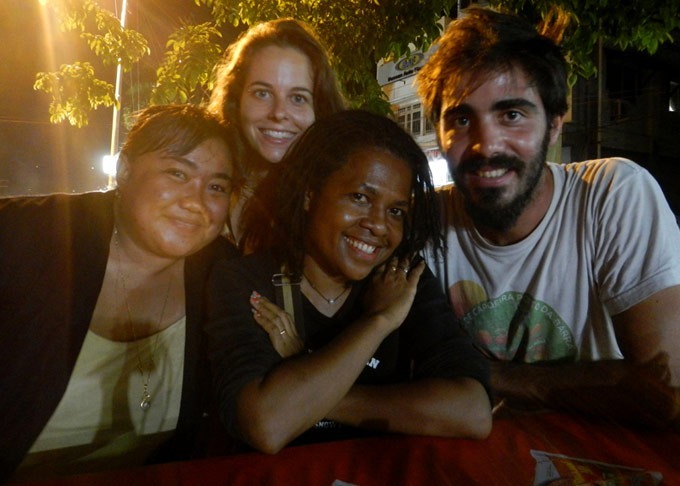 Yogoshine is also where I liked the people more, they were nice, they approached, we took photos and shared some betel nuts. Once in Yogoshine, I thought it would be a good idea to reach the territory of the Yali, beyond the village of Peliam. In this area the paths aren’t well marked and its easy to get lost, so I hired a local guide who would take me to the village of Peliam while Adriana would wait a few days resting in Yogoshine. In the end, we only arrived to Kiroma and then decided to turn back. The path was extremely heavy, with mud and water. In addition, you must pass a mountain, I had not many warm clothes and the nights were freezing. In any case, reaching Kiroma with my guide was a good adventure. We spent a night in a shelter where water and cold trickled between the walls and crossed some complicated areas. We also came across some very real villagers. Realizing that reaching Peliam would be too complicated because of the cold, rain and mud, I decided to turn around and return to Yogoshine, hang out again with Adriana and keep on this amazing route through the Baliem Valley. This was undoubtedly the most exciting day of hike. We were back on the route, circling, returning by the other side of the valley and trying to get to Syokosimo where we could sleep. For some reason that I don’t understand, we kind of got lost. The path was slippery, we had to cross a small river that ended up being a waterfall and in the end, it was too late. The sun was setting and we were in a thick forest that never seemed to end. We knew there was a village nearby but could not find it. Finally, we could see the village at about 500 meters but it was dark, we kept going following the smoke rising from the houses and a man showed up and guided us to the dreamed destination. Literally all the people came out and help with looking for a place for us to sleep, they opened an old house by forcing the door with a crowbar. We all sat on the floor and spent some time eating, talking and laughing. This town isn’t on the map and I don’t know the name, but they said that tourists never went out there and the people were incredibly nice. After spending a fun morning with all the people of this village, some children guided us for an hour to take back the original path so we could finish our route to Kurima. 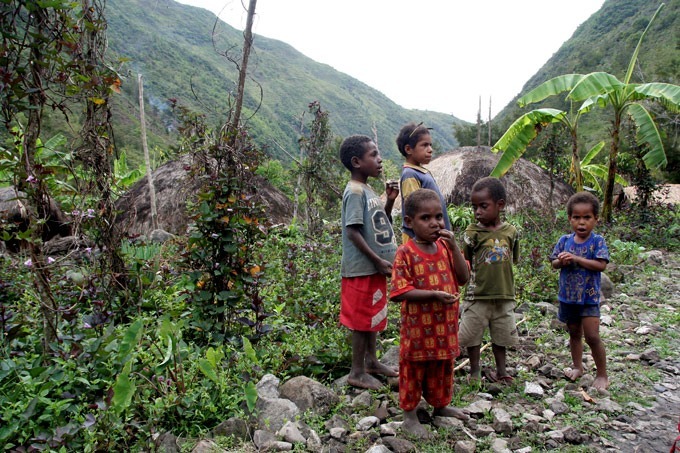 This was a simple day, descending the mountain and the valley to Kurima where we got a transport to Wamena. To make the trek on our own, we spent about $8 a day between accommodation and food. The local guide who took me to Kiroma charged me 150,000 rupiahs a day, around $10. A good price. All the places on my route and detailed map feature basic huts or family houses to sleep. The price per person is about 100,000 rupiahs, but we negotiate to 60,000 rupiahs in each village and they all agreed. 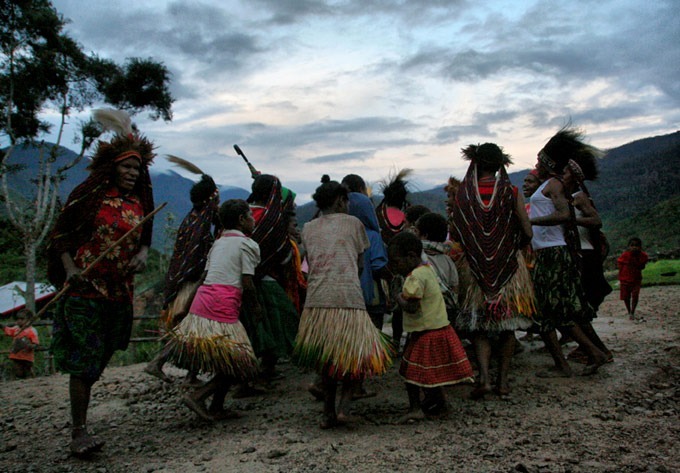 To get there you have to fly to Wamena. 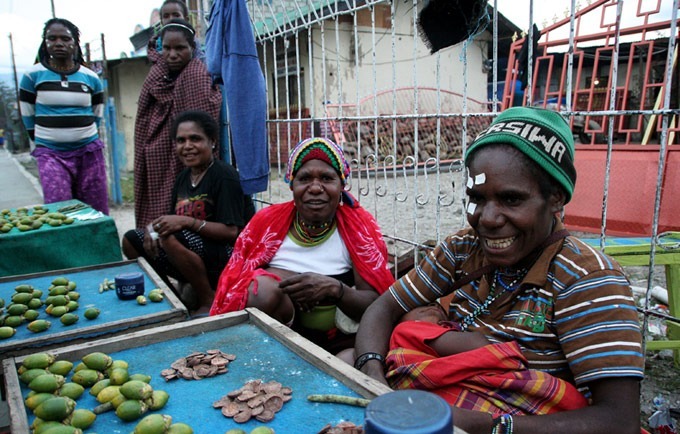 Jayapura – Wamena with Air Trigana cost around $150. From Wamena to Kurima there are several vans in the morning. You will find boiled water in every village and you can buy some food that they’ll cook for you. In general, we didn’t spend more than $2 – $3 a day on food. 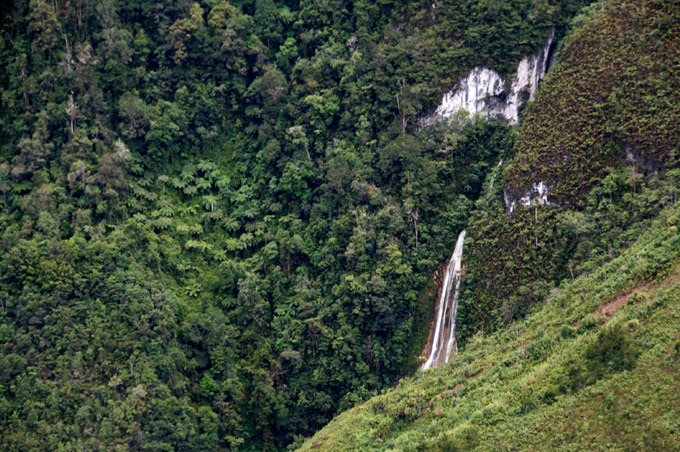 Rainfall is constant throughout the year, so it shouldn’t be an obstacle to visit the Baliem valley. During July and August there are major festivals with representations of wars, tribal dances, etc. 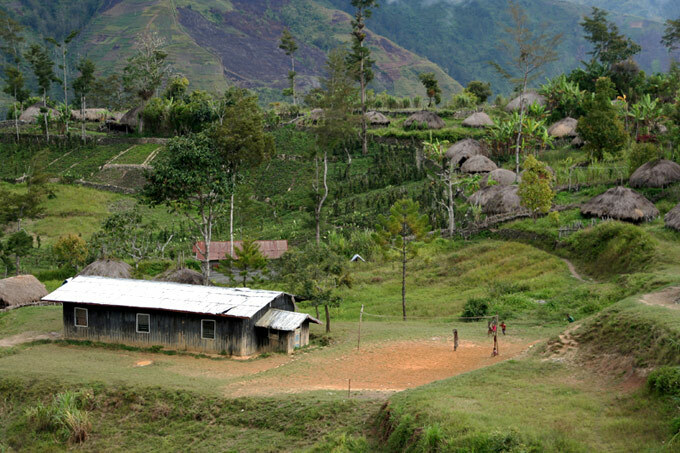 Before you get to the Baliem Valley, you’ll probably need to stay one or two nights in Jayapura. Most hostels will cost you around $20-$25 for a single or double room. I liked this place: Homestay Galpera Papua. I highly recommend that you get a good insurance policy before you visit Papua. Trusted by thousand of adventurers, World Nomads is one of the best and more reliable options. 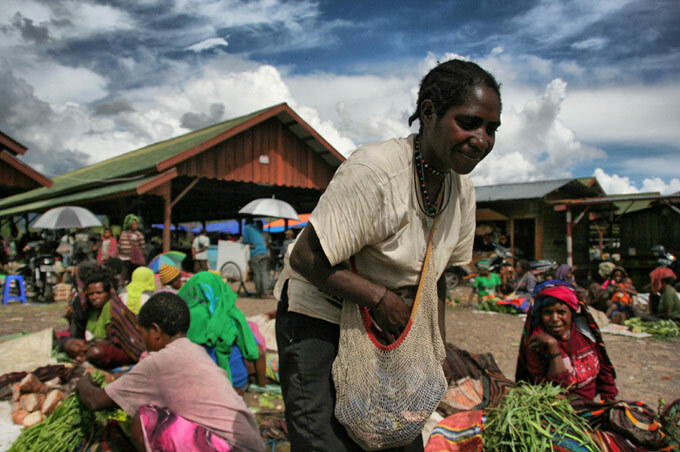 Before you grab your backpack and get lost in the valley, I recommend you visit the amazing and colorful market of Wamena. You can take the opportunity to ask the name of some fruits and vegetables in the local language. So, you know how to ask for them while trekking. 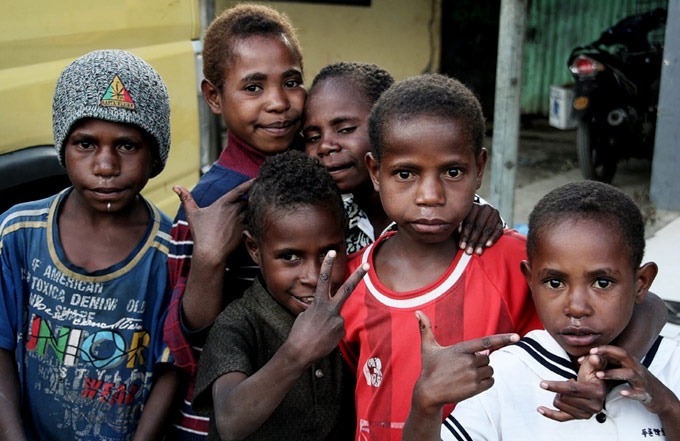 The hostels in Papua are quite expensive, however, there are several interesting couchs both in Jayapura and Wamena. Check out the Couchsurfing Website. The map I have attached to this post is indicative and distances are not to scale, but it serves to give you an idea. In Wamena you can get more detailed maps. You can have a look at this Wikiloc route. Although we walked for six days, I think a 4-day route through the valley is enough to meet people and enjoy the scenery. Of course including more days would also be interesting, but if you want to get away from this basic path, you should get a guide. 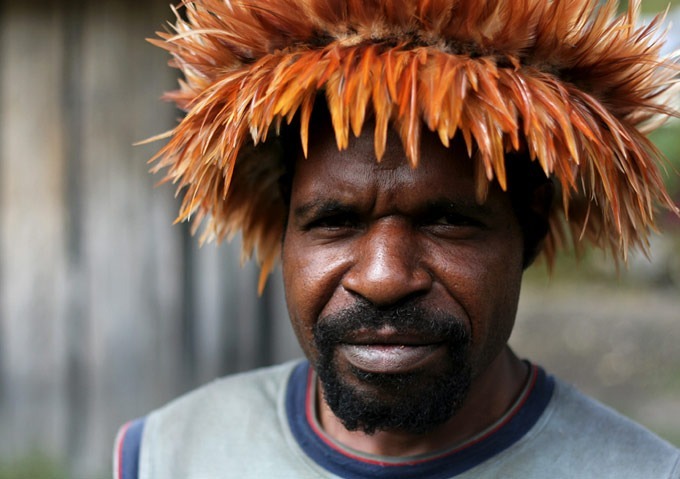 Day 1: Wamena – Kurima – Hitugi. Day 2: Hitugi – Yogoshine. Day 3: Yogoshine – Syokosimo. 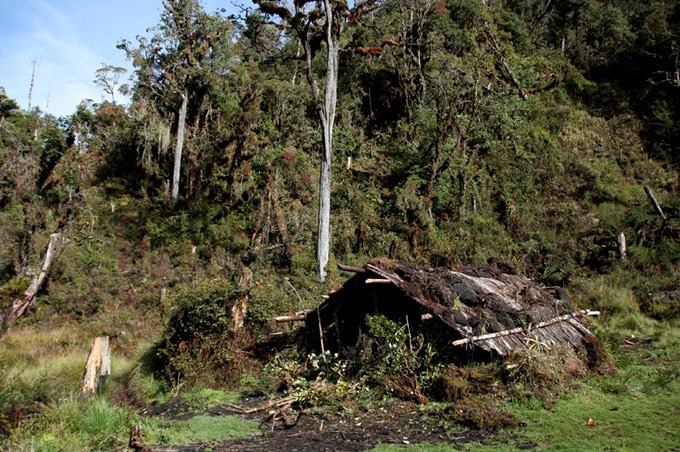 Day 4: Syokosimo – Kurima – Wamena. 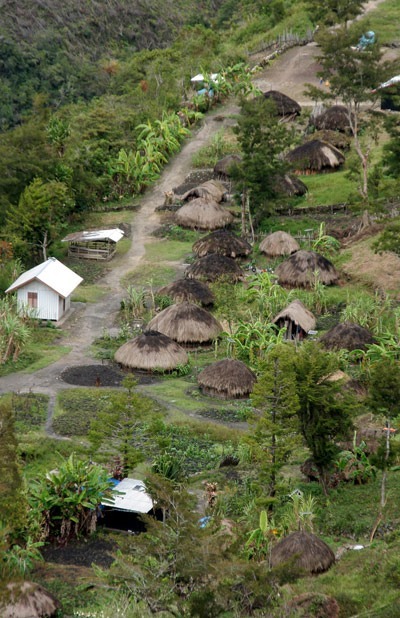 If you intend to go further you can get a guide in these same villages for a much better price than in Wamena. Expect to pay about 150,000 rupiahs a day. Knowing the minimum of their language is very important to buy food, ask for directions, places to sleep, etc. Although obviously influenced by the modern world, these characters still live in the traditional way and keep their culture almost intact, with their simple lives, huts and traditions. Of course, the younger people wear shirts and shoes nowadays, but if you spend a few days with them, you’ll see their way of life is almost as it was hundreds of years ago. 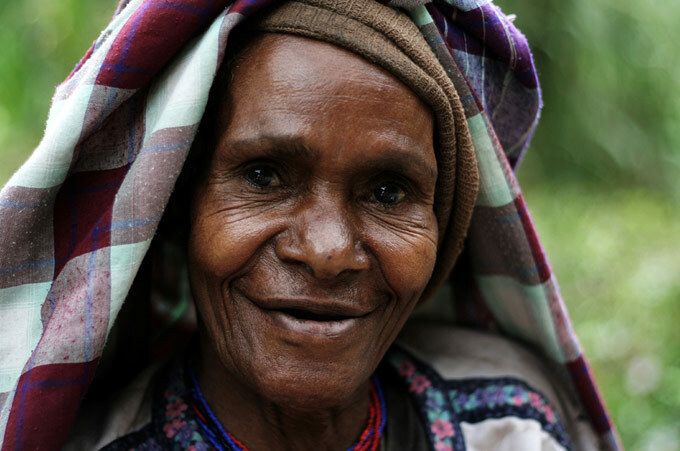 Papua is your last adventure in Indonesia! Do you have any question about Hiking the Baliem valley? Please Contact me! Hi, I’m italian and I’d like to visit Baliem valley. Do you know a reliable guide? Do you have some contacts please? Sorry, I went by myself.. 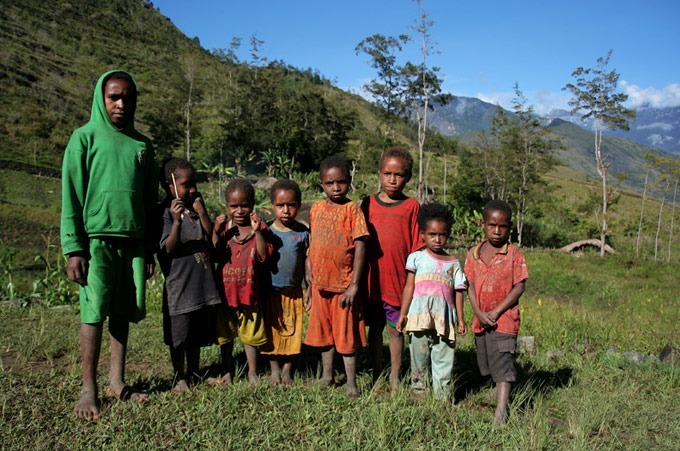 I don’t know any guide.. you can ask in the hotels and hostels in Wamena. you’ll find one. Good luck! Miguel. No number for him as he doesn’t have a phone, and there’s no signal anyway. No shortage of guides, everyone will constantly be offering. Just be careful to choose a good one! 150k rupiah is a fair price for a day, plus paying for their food. Do you maybe have the GPS tracks of your Baliem valley trekks? Me and my wife will also hike there on our own next month. Hi Adrian! Sorry, unfortunately I had no GPS that time. I guess you can find it online maybe? Thanks to this blog me and a friend of mine did a 3 days trip similar to this one. It is for sure one of the last frontiers! 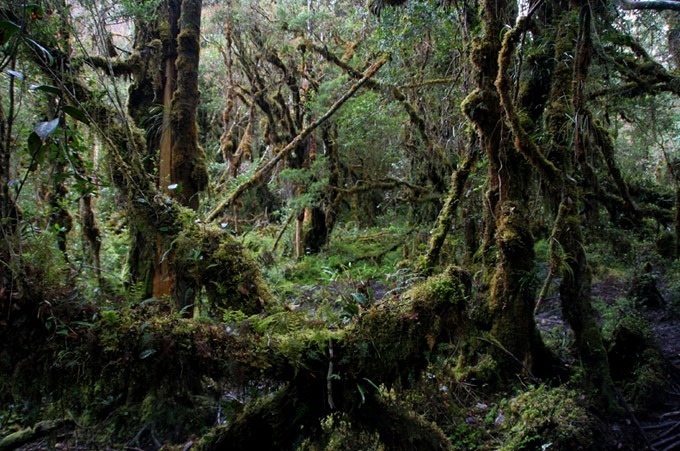 Trekking in the Baliem Valley is challenging but so rewarding! Definitely on the challenging side, but I would do it again (with some changes!) in a heartbeat! We are flying to Papua next week. 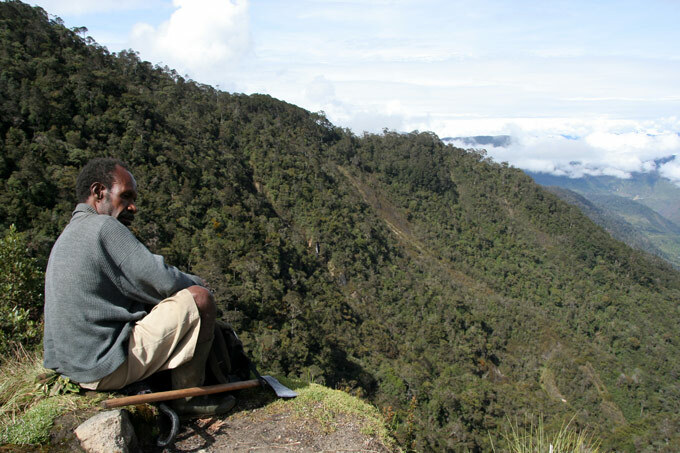 I was wondering if it is still possible to obtain the permits for travelling to baliem valley at Wamena. And if so, do you maybe know where? Only at the airport? Thanks for the interesting blog! Hi, It’s been a while since I went there, so I can’t really confirm that info. Sorry. I cannot confirm anything, but last summer, when I visited Baliem Valley I got the permit from Jayapura Police station – Its free (unless they ask for bribe). We got them at the Police Station too. Bring ID photos and a rough itinerary of where you plan on going. The more the better, the document covers you if you decide for a change of plan at the last minute. Make 2 copies (there is a nearby copy shop) as the military border checkpoint and the police station both keep a copy. Hi Miguel, I bet that was a very memorable experience for you! Now I’m getting all curious and want to go to Papua and do the trek too. By the way, if my friends and I decide to do the 6-day hike and get a local guide as well, do you have any idea how much it would cost us all in all? Hi Emily! I’m not sure about the price right now.. I guess around 150.000 – 200.000 rupees if you get him once in the valley. In Wamena would be more. Good hike! Oh, that’s nice! Thank you so much Miguel! the trip you described in Baliem Valley sounds really great and I would love to go there. As I am here with a friend, we are both women of 20 years. Do you think there is any danger to go there as “two white young women” or can we still make the trip? Hi Dorothea, yes, It’s a great trip! No worries, you just need to take normal precautions… it’s not more dangerous than any other place in Indonesia. It should be totally fine! Hi Miguel, Joe challenging was the route you took? Is it manageable for untrained ppl? Without much tracking experience? We plan to be their in January so we expect lots of rain. Hey, the hike is not really hard. Most people would do it, but you should have at least some experience to know where you’re going. There are always rains, so that shouldn’t be a problem. I will be there in early April and plan to roughly follow your path. Did you bring any water purification tablets with you, or a bottle with a filter to drink from streams? Or is it easy enough to just find fresh drinking water along the way? Hi Dave, thanks mate! I took water from streams and they can boil it for you too. I’d suggest a bottle with a filter. 🙂 Safe travels, and let me know how it goes! Very interesting experience, I hope I can get there someday. I made it to Wamena, but didn’t have time to explore more..
Btw, Indonesian currency is Rupiah. I believe Rupees is the currency of India. You don’t want to change wrong currency when traveling. Hi Atcha, thanks for your comment. I’ve changed the currency to Rupiah. Hey, I’m planning the whole trekking in July! Is there any way to organise a guide in advance? Did you guys take malaria prophylaxe while you were there? And do you know which village is the most traditional/ friendly for us to stay for about 10 days? Hi Parissa, how are you? I did everything on my own so unfortunately I don’t know any reliable guide. 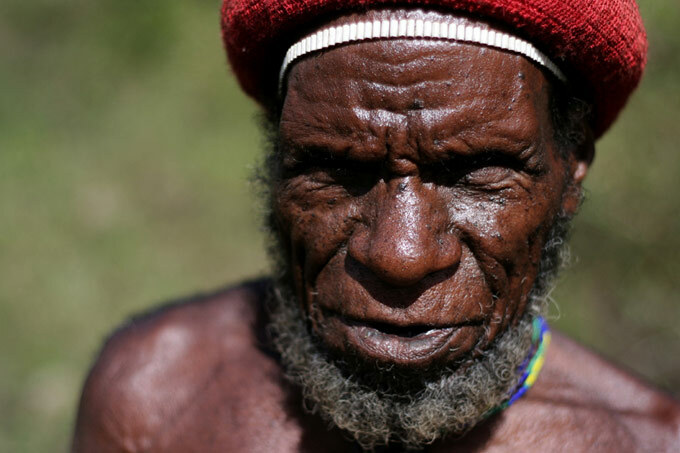 However, you can find guides in Wamena. I didn’t take malaria prophylaxe because it was a short period of time and to be honest, there are almost no mosquitos during the hike, it’s high and a bit cold. 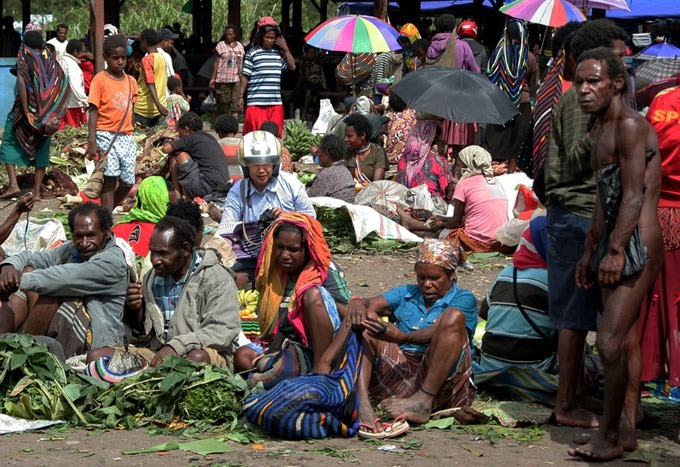 I’d stay in Wamena where you can find accommodation, visit the local market, etc. and then visit other villages during the day. Safe travels! Thank you for this preciuos info! I would like to try a trekking in this valley in August, do you think that four days is the minimum duration to explore this area? How did you organize for drinking water? with purifying tablets? Hi Marco, 4 days is ok for a hike in Baliem. You can do even 3 days.. but the more days, the better. They will get you boiled water in the villages… and you can also drink from clean streams.. a good filter or tablets would be a good idea also. Safe travels. Hi Miguel, my wife and I would like to make your suggested 4 days trekking the end of july. Some questions: Are there leeches and mosquito (bring a mosquito netting)? Do you advise to bring your own mattress and sleeping bag? 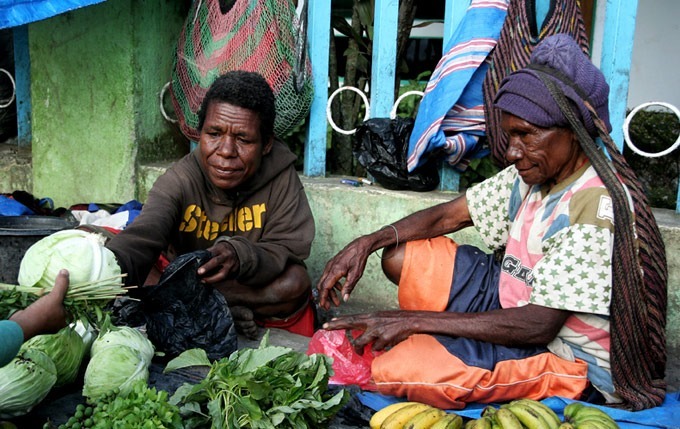 Is it possible to buy some basic food (crackers, canned tuna, biscuits, fruit) in the villages on the route or is it necessary to buy the supply in Wamena? Our flight (Lion Air) allows only 10 kg pp Luggage on the flight to Wamena. What was your experience (for some paying they allow more)? Hi John, how are you? I didn’t find any leeches and just very few mosquitos… you can bring a good sleeping pad and definitely a sleeping bag. you can buy potatoes and rice in the villages, no snacks. You should bring those from wamena. For the flight, I guess you can bring more weight if you pay more.. not sure about that. Safe travels, Miguel. My boyfriend and I are planning to do the trek very soon. Unfortunately we are looking for a place in Women where we could leave some of our luggage (including laptops etc.) while doing the trek. Can you recommend us a safe and reliable place? Hi Nathalie, how are you? I was couchsurfing in Wamena so I left everything at my host’s house, but if you stay in any hostel in Wamena, I’m pretty sure they’ll take care of your stuff. They always do that, almost every hostel or hotel in the world. Safe travels.